Diet sodas, 100 % real fruit juices and other sugar free drinks are surprisingly bad for your teeth. The acids that are found in these drinks can cause dental erosion and cavities. 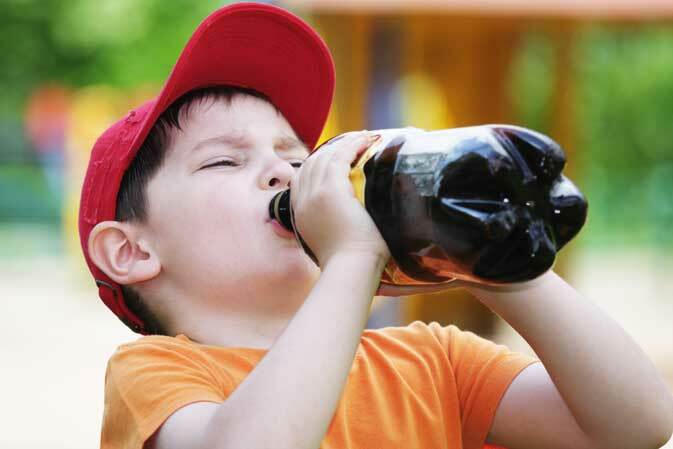 Although they contain no sugar, diet sodas usually cause about the same amount of dental erosion as regular sodas. Besides exposing teeth to damaging acid, these drinks reduce the amount of saliva in the mouth, providing less opportunity for the acids to wash away. Drink tap water or milk. Drinking milk is safe because it helps saliva return to a neutral pH. Brush your teeth twice a day with a thorough toothpaste to help limit the effect these beverages have on your teeth. The best time for drinking these sugar free drinks is with meals. You should also drink through a straw to minimize contact with your teeth, and rinse your mouth with milk or water afterwards. Eat cheese! Cheese is a saliva maker and can also help restor it to a neutral pH. The calcium in cheese, and in milk help put back minerals your teeth might have lost due to sodas. Acids are listed on the product’s ingredient list, so check the label before you buy. Phosphoric acid, citric acid and tartaric acid are some of the ingredients in diet sodas and fruit juices that damage teeth. Remember – Prevention is the best cure! You can help prevent negative effects of sodas by reducing how often and how much you drink them.